Solutions for construction security and project management. Construction sites are increasingly subject to theft of valuable equipment and materials such as copper. 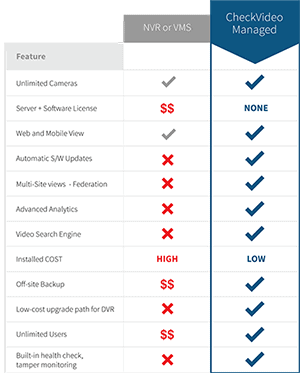 CheckVideo intelligent video surveillance systems provide cost-effective 24/7 monitoring of areas of interest. Real-time alerts can be sent to emails, smartphones, or a monitoring center for immediate assessment and response.